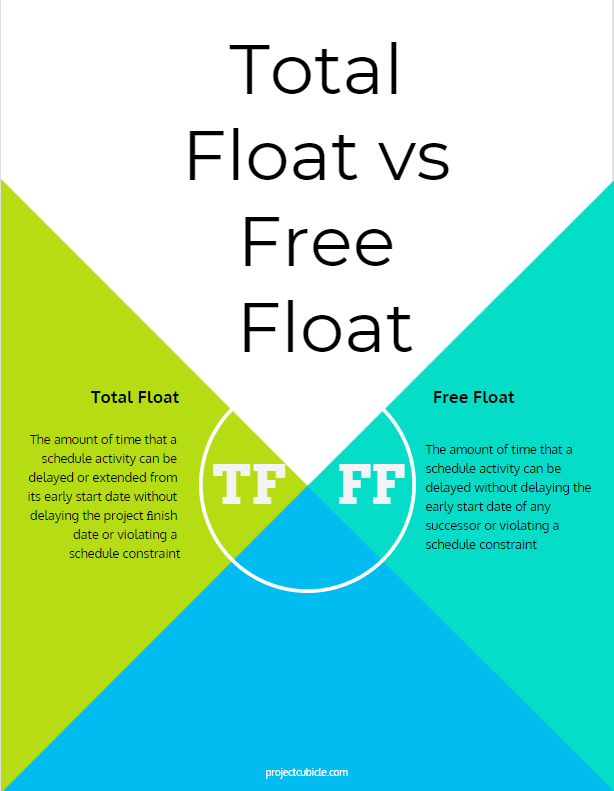 Total Float vs Free Float is one of the most important concept in project scheduling. Total Float and Free Float sound similar therefore many scheduler think that they are the same. However they refer two different calculation method. In order to analyze network diagrams, work schedules and critical path, these two terms should be known. Note that they are used while making delay analysis and preparing claim files. In this article we will calculate both TF and FF by analyzing a simple example. Before to start, let’s take a glance at both concepts. Total float (TF) and Free Float (FF) definitions are given below. In a network diagram total float of the critical path is zero. TF can be calculated by subtracting the Early Start date of an activity from its Late Start date or Early Finish date from its Late Finish date. Simply we can say that Free Float is the amount of time that an activity can be delayed without delaying the “Early Start” date of its successor. Different than TF which is calculated at the path level, FF is calculated at the activity level. For the below given network diagram after making forward and backward pass calculation, we determined the critical path. 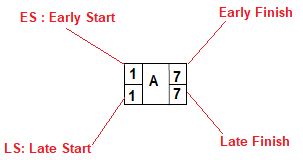 The Critical Path is “A-C-E” path because it has the longest duration hence The TF of this path is zero. Which Activities Can Have Free Float ? Activity B has two successors which are Activity C and Activity D. If there is a delay in Activity B, it delays the activity D, so Activity B has no free float. Activity D can be delayed 7 days without delaying the Early Start date of Activity E.
Total float is the amount of time that an activity can be delayed without delaying the project. On the other hand free float is the amount of time that an activity can be delayed without delaying the early start of it’s successor. These two floats are widely used to analyze the critical path of a schedule. Note that this is an important concept for PMP Exam.